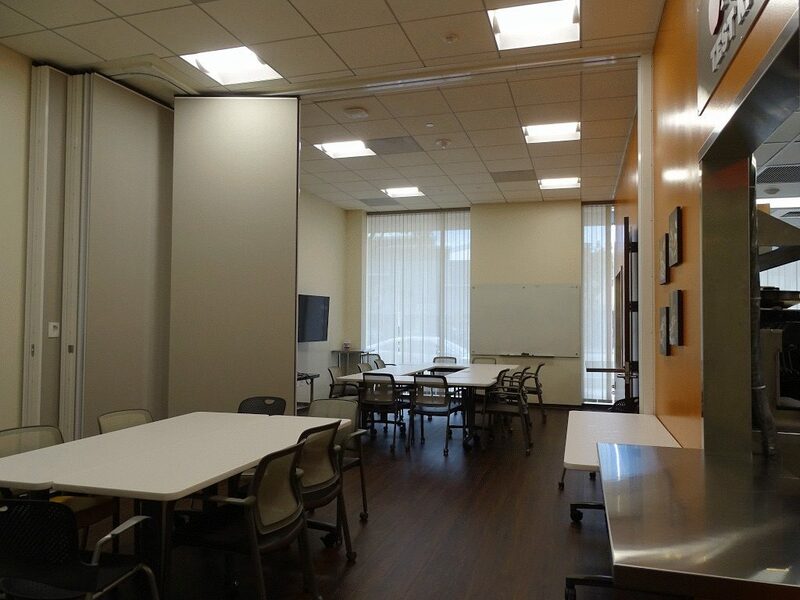 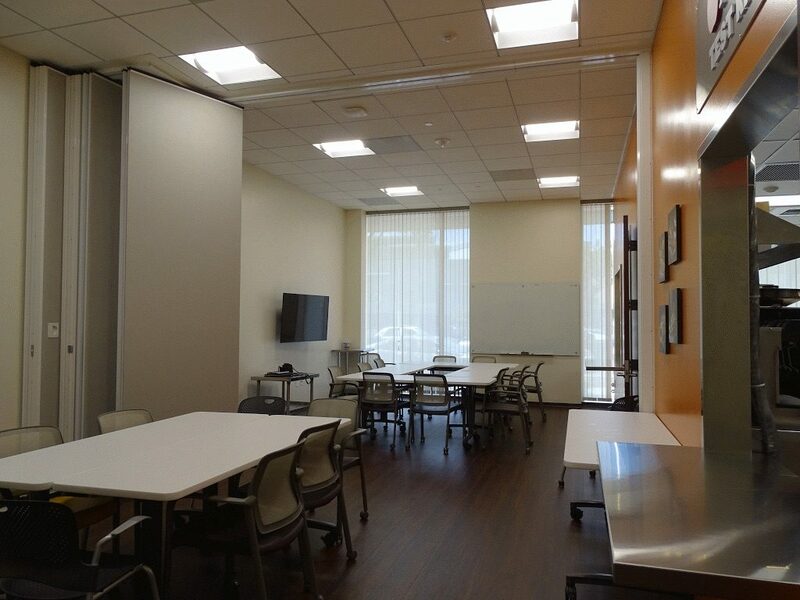 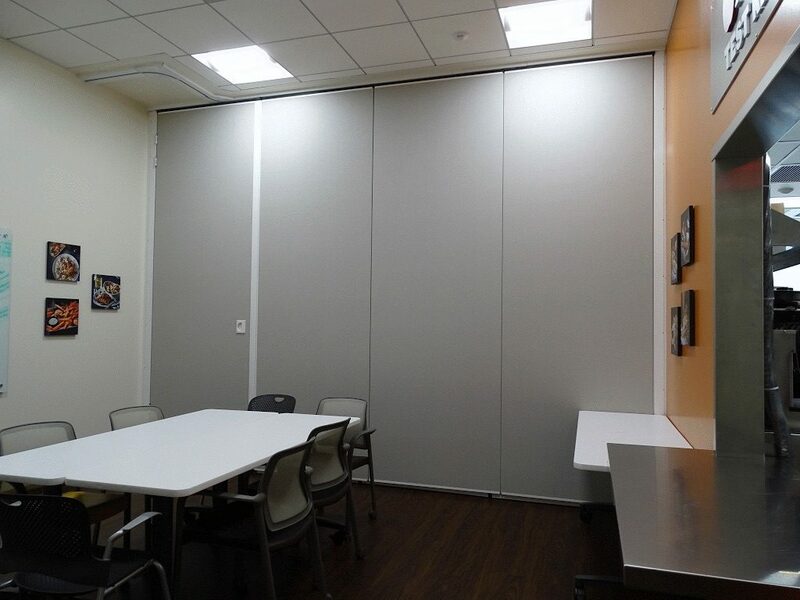 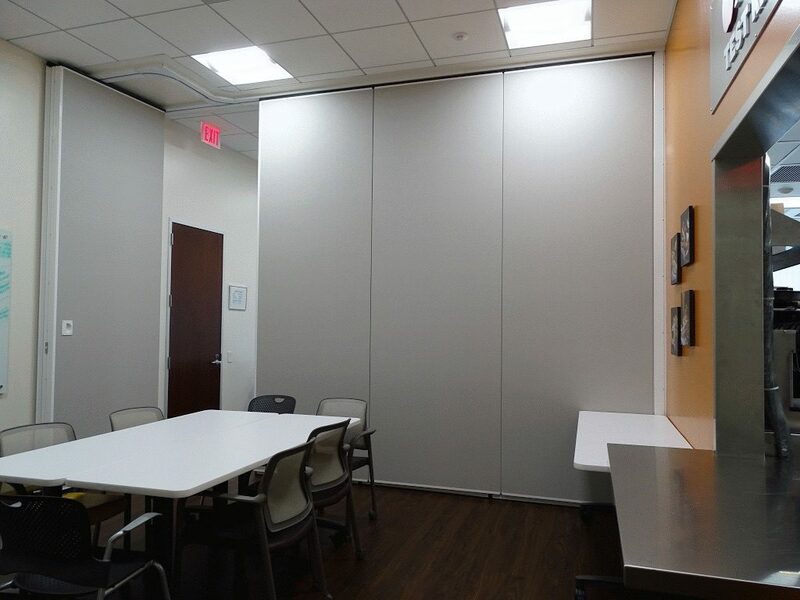 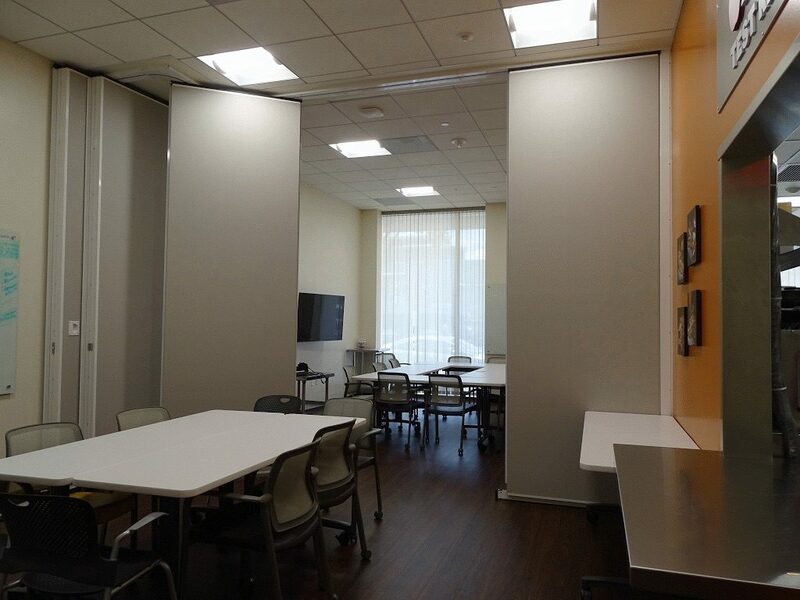 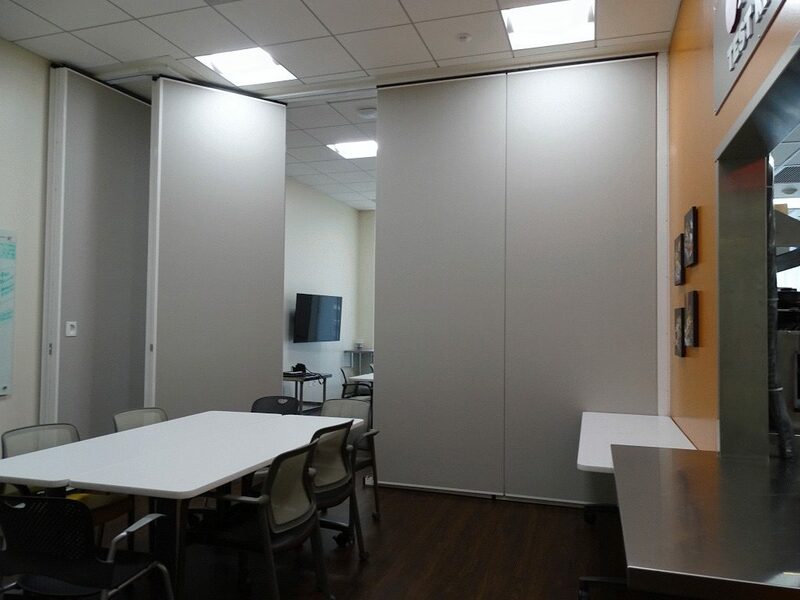 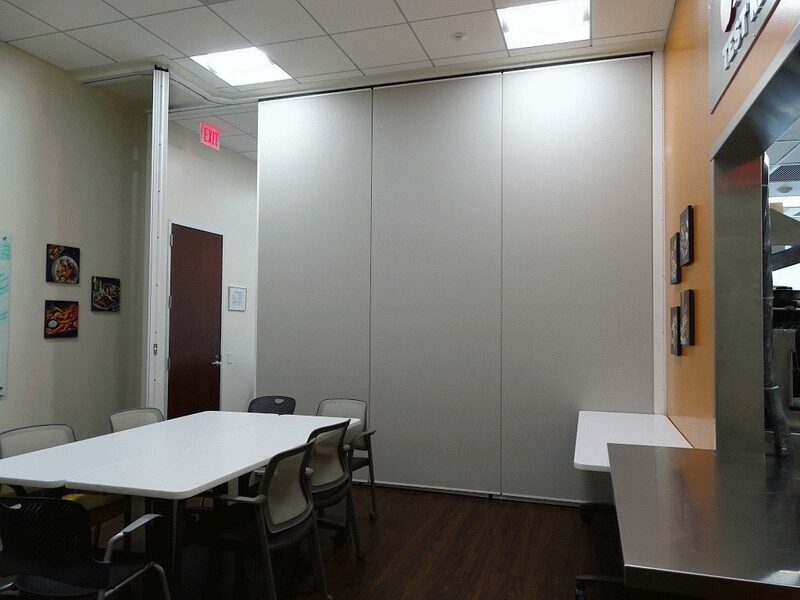 So how long does it take to set up an operable wall? 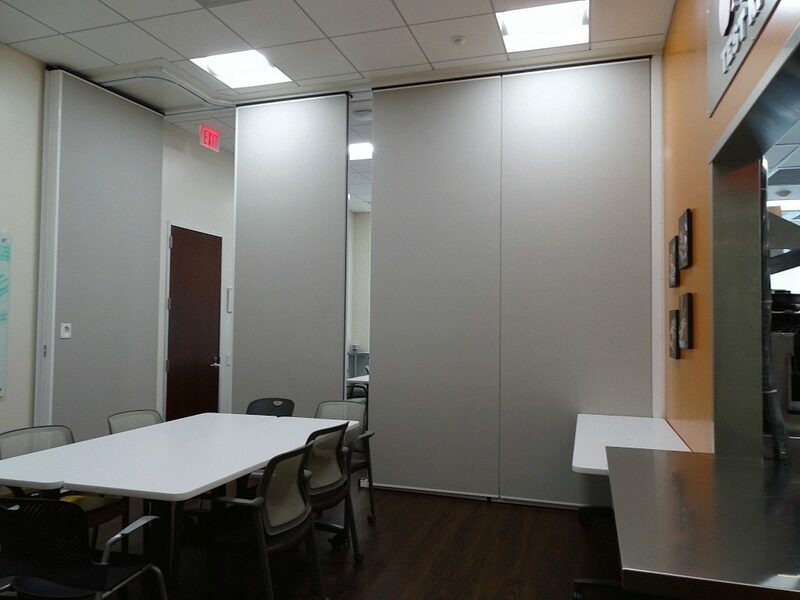 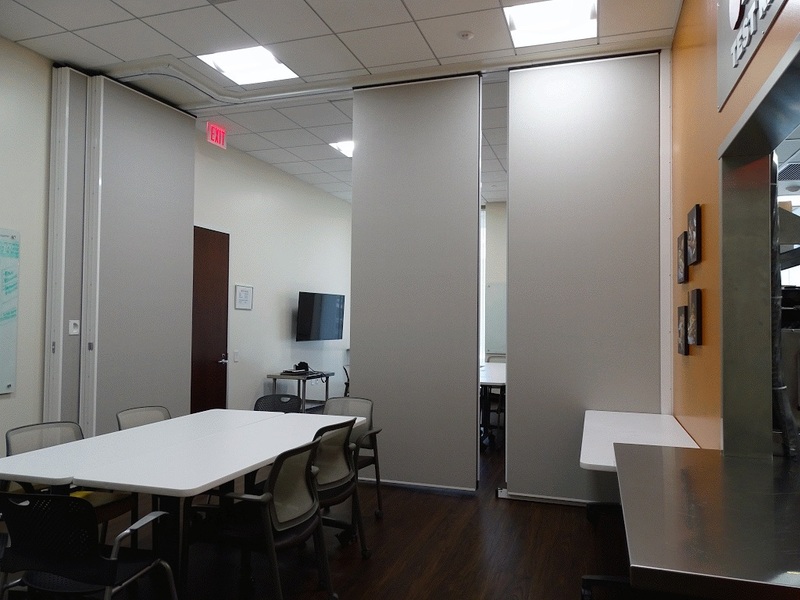 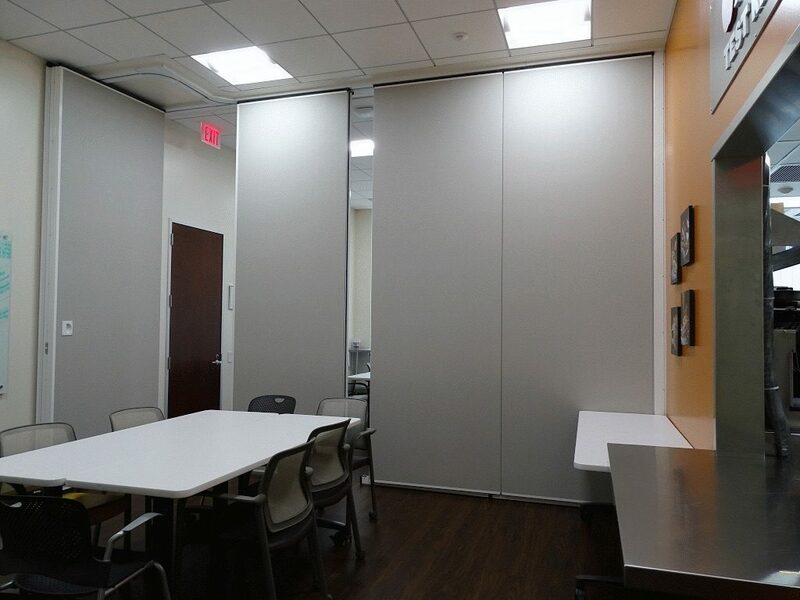 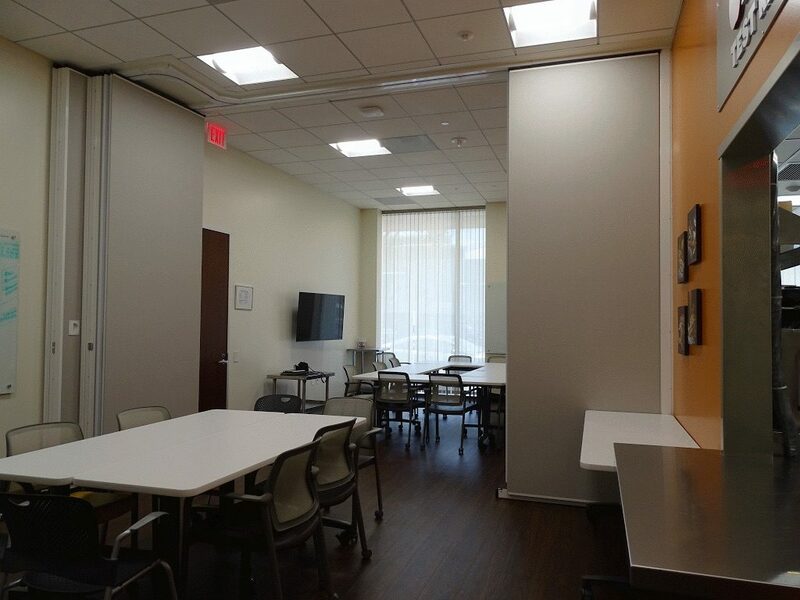 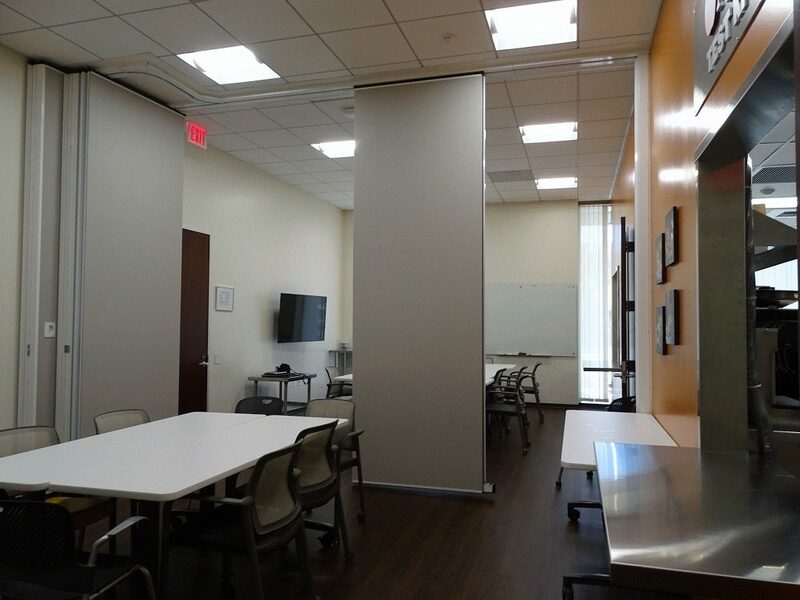 Small room with Moderco Excel comes standard with automatic seals, about 3 minutes… The full height pivot door provides quick access to the adjacent room and panels stack well against it. 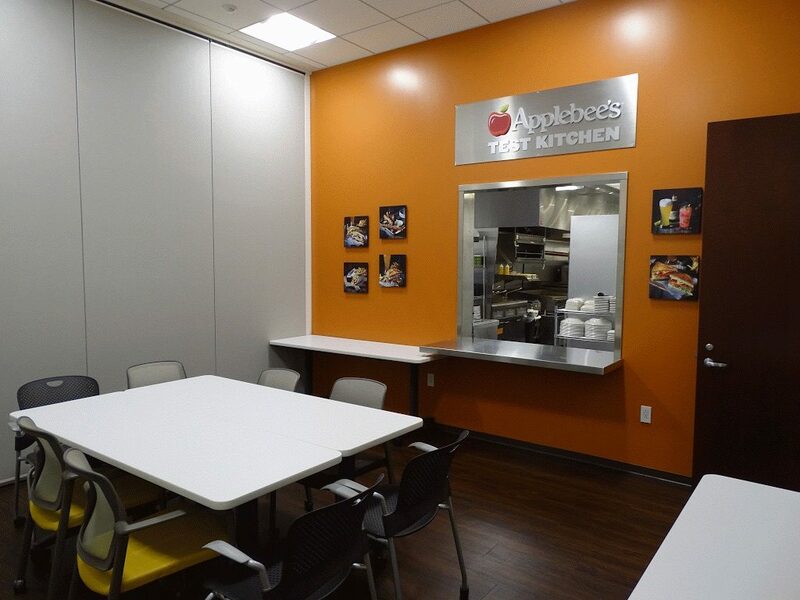 This nice project for Dinequity was designed by Wolcott Architecture | Interiors and brought together by Pinnacle Contracting Corporation GC.